British Architect Dave Edwards has proposed for a conceptual skyscraper in London that imagines the outer layer of the tower having a wall of green algae. These algae would be used for food as well as to improve the overall air quality. The wall would absorb CO2 emissions and also harvest bio-methane for heat and power. 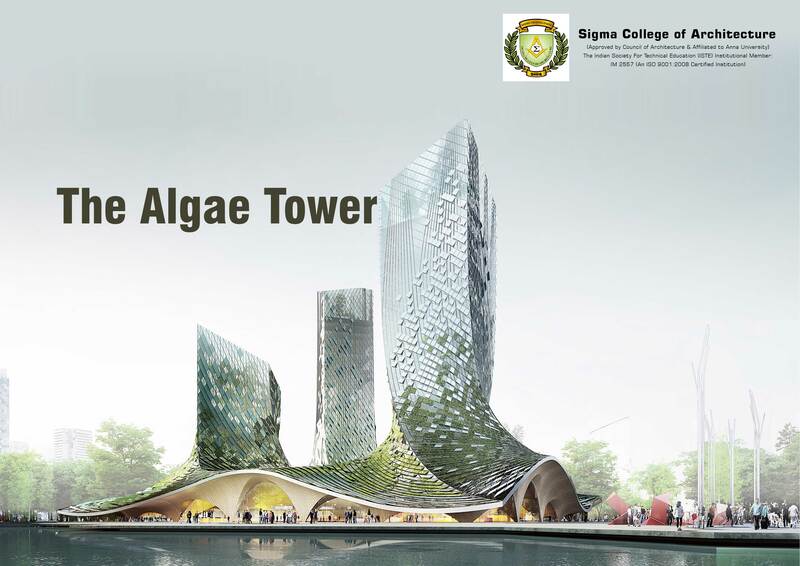 The algae would also don the role of purifying water while the waste biomass would be used to feed the green wall. The designers also visualized a ground source heat pump which would be used to store the summer heat and would also allow the surplus heat to be circulated throughout the building during the cold times like winter. Housing, retail and community facilities would occupy the upper floors while the base of the tower would be made used by a future iteration of the Financial Services Authority.